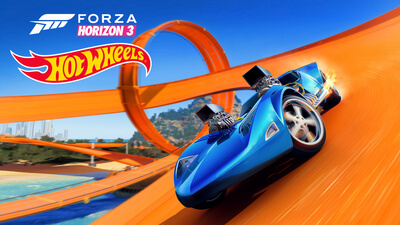 Forza Horizon 3 Hot Wheels takes players to six new themed islands located off the coast of Australia; all connected by a network of Hot Wheels tracks – positioned hundreds of feet in the air – featuring classic Hot Wheels configurations like loops, corkscrews, and more. This is stunt driving at its most extreme, where you can master tracks by performing brand new Hot Wheels skills that make use of boost pads, high-bank turns, half-pipes, insane jumps, and even giant mechanical dinosaurs. If you’re looking to get creative, check out the new Stunt Swap feature to modify stunt track sections and dare your friends to try them. 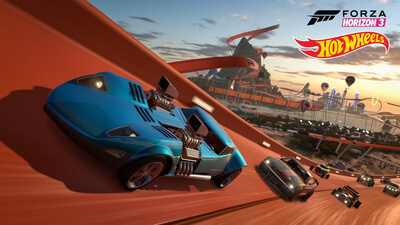 Explore the world of Forza Horizon 3 Hot Wheels in an all-new campaign, completing events on your way towards the ultimate stunt-driving test, an epic Grand Finale taking place on the massive new Hot Wheels Goliath circuit. Hook up with your buddies and compete in online multiplayer racing on Hot Wheels tracks, or find out whose skills reign supreme in a brand-new Playground Arena. 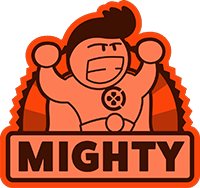 Along the way you’ll earn 28 new Xbox Live achievements worth 500 Gamerscore. Get ready to explore the world of Forza Horizon 3 Hot Wheels in ten new cars, including several Hot Wheels’ world-famous vehicles, as well as a brand-new Barn Find just waiting to be discovered and restored. A bright, fun and surprisingly substantial racing experience that does interesting things with Forza Horizon 3's core design. Back in 2011, pro racer, stunt driver, and X-Games gold medallist Travis Pastrana successfully launched his Team Hot Wheels trophy truck further than any other four-wheeled vehicle in history. He did it from a giant jump assembled at the Indianapolis Motor Speedway, built to appear like a life-sized length of bright orange Hot Wheels track. Forza Horizon 3: Hot Wheels is Pastrana's enormous toy ramp surrounded by a city-sized network of equally insane stunt tracks: a bedroom floor on an unlimited budget. What's not to love? A delightful, daring, and different expansion that reinforces Forza Horizon 3's reputation as one of the best racing games ever made. Forza Horizon 3 Hot Wheels works even though it occupies a weird space. It doesn't play to Forza Horizon's strengths and, eventually, it doesn't even feel much like Hot Wheels anymore. It's claustrophobic and constricting in a way this franchise hasn't been before. In a twist of irony, it's the Hot Wheels aspect that prevents this expansion from ever performing anything spectacularly perilous. Forza Horizon 3's Hot Wheels DLC is something of a missed opportunity. Visually spectacular, but adding virtually nothing to the core Horizon 3 experience besides some new-found problems and annoyances, fans are arguably better off sticking with the tarmac/dirt/sand of the mainland.